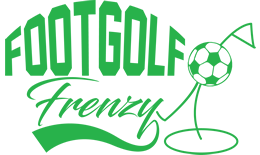 Situated in the heart of the Midlands, Perton Park Golf Club are now offering Footgolf for small groups up to a maximum of 4 players. The exceptional greens all have excellent drainage, making this 9-hole course perfect for a game, whatever the weather. It is open to Footgolfers throughout the week and with an informal dress code and no bunkers to get stuck in, this is an excellent course to try with the family or simply if you are new to the sport. There are large flat fairways and although there are rough areas there are no tricky trees to cause frustration. The footballs needed to play the game are available to hire, or alternatively bring your own. The Clubhouse has a smart casual dress code, but is welcoming to all. For those looking for a fun family-friendly afternoon, whatever your level of ability, Perton Park is the course for you.